1. Online - Read the application below and click the "Order Now" button when you are ready to begin the application process. 3. By Mail - See our addresses and "printable" enrollment applications just below. For those that would prefer to print the Enrollment Application and Contract, and send it via the Post Office, simply Click on one of the "Downloadable Files" just below to print off a copy. ​Enrollment Application Form - "secure" server form for filling out your name, mailing address, shipping address and credit card information. VISA, MasterCard, American Express and Discover Card are accepted (see below). Individual instruction through the Faculty and Consulting Staff, who are under the personal supervision of Charles Green, Director of the AlA.
PAYMENT PLANS: You may choose from three different Payment Plan options when ordering the Asheford Program. There are two Installment Plans (tuition is paid monthly), and one Paid In Full option. You may also add the "optional" USPAP & PACC Compliance Examination to any of the Payment Plans shown below. Consider a Payment Plan that best suits your needs. You will select your Payment Plan Option, and Course format (Textbooks or e-Course) in STEP 3. $25.00 with enrollment and $35.00 each month thereafter until the full price of $1,195.00 is paid. $35.00 with enrollment and $45.00 each month thereafter until the full price of $1,095.00 is paid. As Payment In FULL (save $200.00 Off original Plan A price). Optional - For Past Graduates or current Students who wish to INCLUDE the National 15-Hour USPAP Course & Asheford-PACC Compliance Examination to an already existing Course Payment Plan. 1. 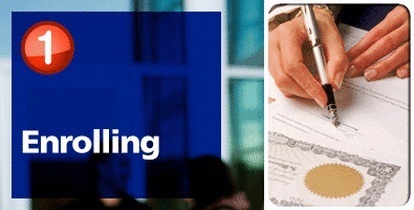 CHECK - Download a printable enrollment contract from above and mail to the Institute with your check. 2. MONEY-ORDER - Download a printable enrollment contract from above and mail to the Institute with your money-order. 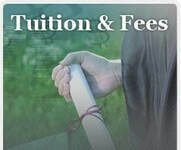 On "monthly" tuition Payment options (Plans A or B), all tuition payments are due on a monthly basis, and must be kept current regardless of Course progress. Textbook materials, or "pass-codes" for e-Course Plans, are sent out in installments, along with Teaching Aids, upon the receipt and grading of examinations. Monthly tuition payments are due regardless of whether or not examinations are submitted for grading. When the "Payment IN FULL" option is selected for the Textbook format of the program, all Course materials will be shipped at one time. (Note: When applying online, the "default" setting for enrollment is the e-Course, which is the latest and most up-to-date version of the school's curriculum. If you wish to choose the Textbook option instead, you will have the opportunity to do so on the Enrollment Application Form on the next page). Order the Asheford Program; e-Course or Textbooks with the understanding that you can examine the Course in your own home for five-days after it's been received. If for any reason you do not wish to keep the Plans, simply let us know and we'll refund your remittance in full (Note: Textbooks must be mailed back to the Institute, and require a dated return-receipt in order to validate the money-back guarantee). To select your "Payment Plan" and "Format Option," and begin the process of enrolling within the Asheford Program, please click on the "ORDER NOW" button.